At this year’s Game Critics Awards, KINGDOM HEARTS III was awarded Best RPG title. This continues the critical reception of the title most notably at the E3 convention where it received over 30 awards from North and South American media publications. KINGDOM HEARTS III will be available on January 29, 2019 for the Xbox One family of devices including the Xbox One X, and the PlayStation®4 computer entertainment system. KINGDOM HEARTS III is not yet rated. Please visit the Entertainment Software Rating Board (ESRB) website at www.esrb.org for more information about ratings. KINGDOM HEARTS III tells the story of the power of friendship as Sora and his friends embark on a perilous adventure and support each other through difficult times. Set in a vast array of Disney worlds, KINGDOM HEARTS follows the journey of Sora, a young boy and unknowing heir to a spectacular power. Sora is joined by Donald Duck and Goofy, two emissaries sent by King Mickey from Disney Castle, to stop an evil force known as the Heartless from invading and overtaking the universe. Through the power of positivity and friendship, Sora, Donald and Goofy unite with iconic Disney and Pixar characters old and new to prevail tremendous challenges and persevere against the darkness threatening their worlds. A book detailing some early RPGs is being released to give aspiring developers and fans a look at where these games came from. 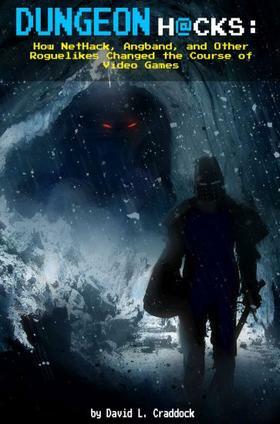 PressStart Press is proud to announce the release of Dungeon Hacks: How NetHack, Angband, and Other Roguelikes Changed the Course of Video Games in paperback as well as on Kindle, iBooks, and other popular e-reading platforms. 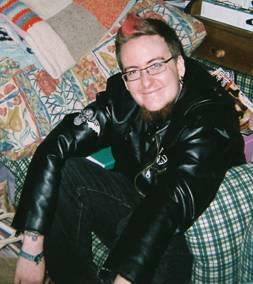 Written by Stay Awhile and Listen author David L. Craddock, Dungeon Hacks whisks readers back in time to the computer labs where seminal roguelike role-playing games (RPGs) such as Rogue and Moria originated. Roguelikes are beloved among their fans, who tout grueling difficulty, a wide breadth of character types, and procedural algorithms that generate brand new levels every time players begin a new quest as defining characteristics of the genre. Dungeon Hacks was assembled from years of research and interviews with developers such as Michael Toy, Robert Koeneke, Thomas Biskup, and the architects of NetHack, which TIME magazine commended as one of the best 100 games ever made. Dungeon Hacks is available now in paperback, as well as on popular e-reading platforms. An audio release will be made available later this month. Alongside Dungeon Hacks, PressStart Press is publishing two additional books. One-Week Dungeons: Diaries of a Seven-Day Roguelike Challenge follows programmers of varying skill levels as they race the clock to design a game in a single week. Angels, Devils, and Boomsticks: The Making of Demons with Shotguns tells the story of an aspiring programmer who must conquer his fear of math if he wishes to realize his dream of making games. Both books are available now on Kindle, iBooks, Nook, and other popular e-reading storefronts. 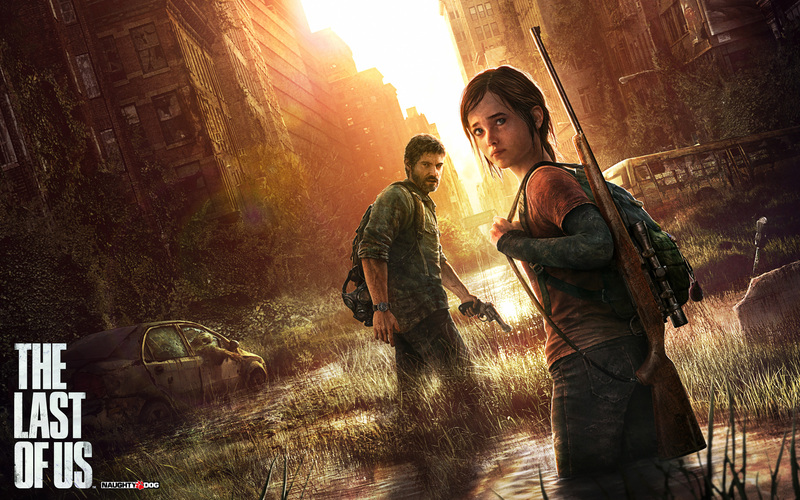 The game charts are out and Naughty Dog’s PS3 exclusive The Last Of Us still sits at the top for a fourth week in a row. This is the first time in 2013 that a game has been at number one for over four weeks in a row. The only other new entry this week is down at number eighteen with Namco Bandai’s fighting RPG, Project X Zone, on Nintendo 3DS at number eighteen. And while traditional RPG’s used to be a niche market, elements of the genre are appearing all over the place. EA Sports Vice-President Andrew Wilson believes that RPG elements could even invade sport simulation titles such as FIFA. “I think it’s a part of it, certainly.” he said when asked by The Guardian if RPG is the future of sports games. “I think the future of the sports sim is the fact that you can choose how you want to play it. That we allow you to play on any platform, at any time, at any price, anyway you want”. Wilson emphasised the importance of choice when playing games. Of course, as reported by the Train2Game blog, even without RPG elements, the latest instalment of the FIFA franchise has been incredibly successful and currently sits at the top of the charts. But Wilson believes that the market is still very much open, with consumers much more willing to play a variety of games than they used to. “There was a time where gamers either played sports games or they played RPGs.” said the EA Sports Vice-President. We’ve been listening to the feedback from our audience and they say they want more compelling experiences in their sports games.” Wilson added. So Train2Game, what are your thoughts on Wilson’s comments? Are RPG elements beginning to feature in more games? Do they need to be in sports titles? Bioware have released an extended version of the Dragon Age 2 reveal trailer first revealed at GamesCom. The new Dragon Age 2 ‘Directors Cut’ trailer gives us an extra 42 seconds of CG based Dragon Age goodness. The video features Dragon Age 2 protagonist Hawke in a one on one battle with what appears to be a demon, with some very big horns. The swordplay and magic show that the hero of Dragon Age two has more than a few tricks up his sleeve when battling the dark forces. Interestingly, the narration in the video appears to come from Flemeth. Dragon Age: Origins veterans will know Flemeth has a powerful witch of the wilds. Is it possible Flemeth will have a role in Dragon Age 2? Dragon Age 2 will be released in the UK on March 11th 2011, as revealed during EA’s GamesCom press conference last week. While the Dragon Age 2 trailer looks very impressive, it’s highly unlikely that the actual game footage. However, the Dragon Age: Origins trailer at last years E3 didn’t feature in-game footage, but Dragon Age still proved to be a very impressive role playing game. Good news for fans of the series is that it isn’t over yet, with Bioware revealing more DLC for Dragon Age: Origins in the form of Witch Hunt. But back to Dragon Age 2, you can watch the extended trailer below. So, Train2Game what do you think of that? Are you looking forward to Dragon Age 2 being released on March 11th? And how effective do you think the Dragon Age 2 trailer is? You can leave your thoughts about Dragon Age 2 here on the Train2Game blog, or on the Train2Game forum. Bioware have revealed yet more DLC for their highly successful RPG Dragon Age: Origins, a game the Train2Game blog has heavily praised in previous articles – and deservingly so! 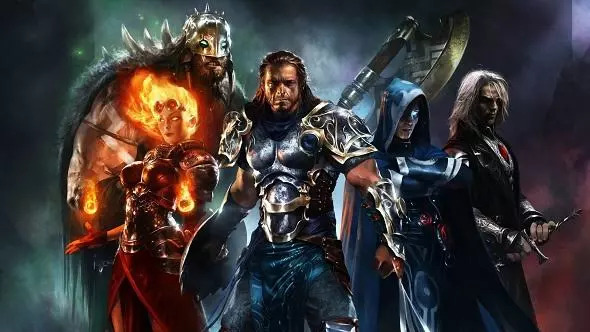 The new downloadable content is called Dragon Age: Witch Hunt, but be warned, if you haven’t finished Dragon Age: Origins this news will reveal massive spoilers about the end of Bioware’s epic role playing game. You have been warned, read on and Dragon Age: Origins will be spoiled for you. Dragon Age: Witch Hunt takes place a year after the events of the Dragon Age: Origins finally in which the Archdemon was slain and the Darkspawn threat has been vanquished. One question remains: what happened to Morrigan? 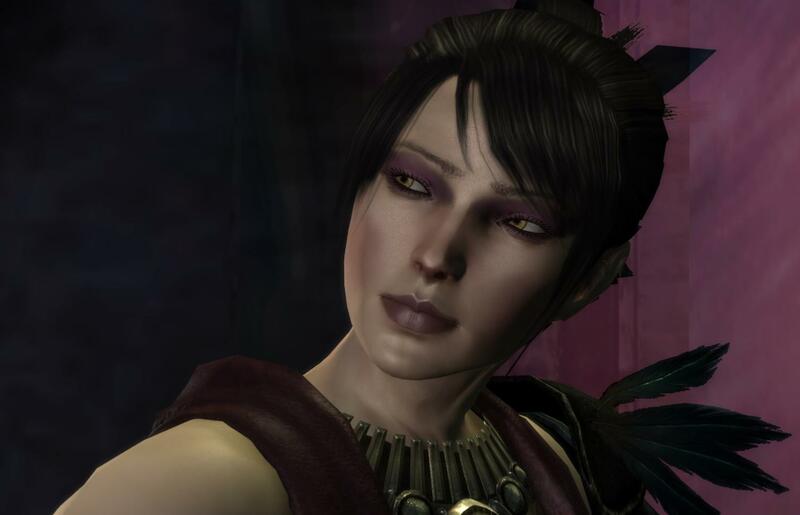 If you’ve finished Dragon Age: Origins (and if you haven’t, you should really have stopped reading by now) you’ll be aware that no matter which one of the multiple story choices you made towards the end of the game, Morrigan leaves straight after the battle with the Archdemon. Will The Warden have the choice to slay Morrigan? Well, yes probably, seeing that many of your companions can be killed by your own hand in the many, many different available plots in the Dragon Age: Origins story. Dragon Age Witch Hunt is available on PC, PlayStation 3 and Xbox 360 as downloadable content from September 7th. So Train2Game, if you played Dragon Age: Origins, are you keen to play this conclusion? Or are you just waiting for Dragon Age 2 now? And do you think all this downloadable content from Bioware is a positive or negative thing? Leave your thoughts about Dragon Age here on the Train2Game blog or on the Train2Game forum. As I was on my way into the Train2Game office this morning, I was partaking in two usual activities – doing my very best not to get run over and listening to the latest gaming news podcasts in order to write relevant and interesting blogs for you Train2Game Games Designer, Games Developer and Games Art & Animation students. This morning, I was listening to the GameSpot UK podcast which this week is especially relevant to Train2Game students? Why? 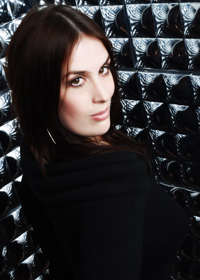 Because it features video game script writer and narrative designer Rhianna Pratchett. She’s a veteran of writing scripts for games which include Mirror’s Edge, Heavenly Sword, and the Overlord series. In the GameSpot UK podcast she talks about writing dialogue and narrative for games, incorporating humour and how she broke into the field of Games Design. So, Train2Game students, I highly recommend that you listen to this weeks GamesSpot UK podcast if you want a useful incite into the industry. Rhianna starts talking about Games Design about 25 minutes into the programme.